Phong Nha-Ke Bang National Park (Vietnamese language: Vườn quốc gia Phong Nha-Kẻ Bàng) is a national park in Quang Binh Province, Vietnam. It is about 40 km north of Đồng Hới city. This national park is a UNESCO's World Heritage Site. It protects an area of primitive forest, caves and grottos. This national park has many rare animals and underground rivers. 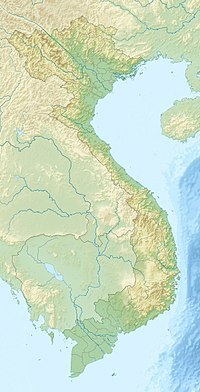 This park has 300 caves and grottoes with a total length of 70 km, of which British and Vietnamese scientists have so far surveyed 20 km. This park has many underground rivers and has biological diversity. In 2003, UNESCO listed this national park in its world heritage sites (natural heritage sites).